Why Are Thai Cars So Boring? Submitted by peter on 18 February, 2011 - 21:44. Thailand is an amazing country, full of verity and choice. Fruit, for many western countries, means that you will be looking at apples, oranges, bananas, and seasonal berries most of which are imported anyway. In contrast, Thailand offers a staggering array of locally grown fruits. The country is blessed with natural beauty that attracts millions of tourists annually. And by and large Thailand is a very interesting place to visit, complete with a rich and proud history and culture. But.... this is a car site. And writing about Cars in Thailand isn't always all that interesting. In fact, truth be told, the Thai auto market is bland as can be. Why is this the case? Do Thai's not have good Taste in cars? Submitted by pmbpr on 3 August, 2009 - 14:47. Area bookings have been brisk for “THE 26th THAILAND INTERNATIONAL MOTOR EXPO 2009” that will be hosted by Inter-Media Consultant under the concept DRIVING... FOR SUSTAINABILITY. Over 90% of the total space have already been taken up by car and accessory companies. Submitted by peter on 8 December, 2006 - 15:04. The new BMW styling might not be to everyones taste, certainly not mine, but apparently Thais with money to spend on luxury cars are more than happy with the German outfit's current generation of cars. 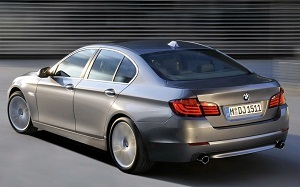 According to recent figures BMW enjoyed sales of about 2,200 cars in the first 10 months of 2006, an increase of 23%! This increase would be a compelling enough argument for the popularity of the direction BMW have taken with their bold new corporate image, but when you factor in the 10% decline in sales experienced by the luxury car market in the same period, even folks like me have to concede that BMW must be doing something right.